The rapper talks about being a woman in the game and her upcoming album in her T Magazine cover story. For her lyricism, her style, and her influence on rappers today, Minaj rightfully deserves to be named one of the greats. 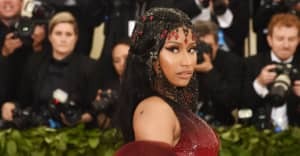 Read the rest of the interview with Roxane Gay here, and revisit The FADER's 2013 Nicki Minaj cover story.